Washington (CNN) - The emails are flooding into Rabbi Shmuel Herzfeld’s Washington office from around the world - London, Zurich, New York, Mexico - all with one goal: to have the rabbi sell all the bread products in their homes in time for Passover. As Passover approaches, orthodox Jews strip their homes of all bread products, called chametz in Hebrew. Cereal, breads, even grain-based alcohol is consumed, destroyed or sold - through a rabbi - to a non-Jewish neighbor. After Passover, the seller can buy the chametz back. In almost all cases, the bread products never physically change hands but are put away under lock and key in the seller’s home. Traditionally, the seller fills out a form for the rabbi. This year, Herzfeld decided to embrace the latest technology and, with the help of a member of his congregation, develop mobile apps to accomplish the task. A United Kingdom budget airline has apologized to its Jewish customers after loading ham and bacon baguettes on to the flight instead of the standard kosher food. EasyJet said it made the mistake on a flight from Israel to London. Is Drake in the midst of a kosher beef with Matisyahu? Forget the war of words between 50 Cent and Dr. Dre, and even Lil' Kim and Nicki Minaj — a new rap feud is about to begin between Jewish musicians Drake and Matisyahu. 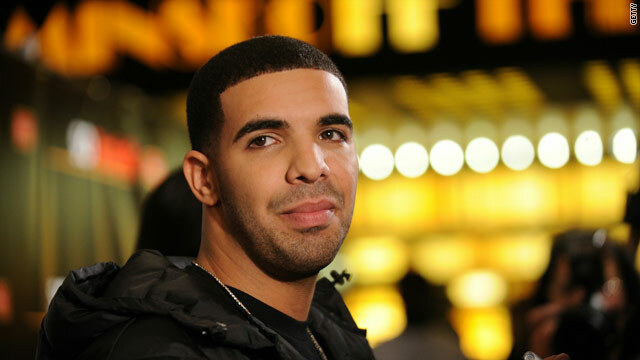 In a new interview with TMZ, reggae rapper Matisyahu disses Drake as not being true to his roots. Editor's Note: CNN's Kevin Flower files this report on CNN's Inside the Middle East Blog. It's late afternoon in Jerusalem and Moses Levi is making one of his frequent visits to the Western Wall. "They say this is where the presence of God is," Levi says as he ambles across the plaza of Judaism's holiest site, a mere stone's throw away from Islam's sacred al-Aqsa Mosque. "That's why you have Muslims here, Christians here, and obviously you have the Israelites here. When everybody disagrees about everything, they agree about one thing: that this is where they need to come to pray." Like many of the worshippers there, he is dressed in traditional garb – a silver-striped silk robe, black knee-length pants, a white knit skullcap, and specially knotted fringes dangling from the sides of his legs. In many ways, Levi is indistinguishable from the thousands of ultra-orthodox Jews who call Jerusalem home. The only hint of something unusual is the Kurt Cobain T-shirt he wears under the robe, the black Ray-Ban sunglasses, and the signs of recognition on the faces of tourists passing by. Levi is, in fact, far from your standard ultra-orthodox adherent to the Jewish faith. He was born in Belize as Jamaal Barrow, the out-of-wedlock son whose father is now the country's prime minister. At the age of seven, he moved to Brooklyn, New York, with his mother, and grew up in a hardscrabble urban setting. It was on the streets of Flatbush that Levi took up rhyming, eventually becoming the hard-core gangster rapper known as "Shyne." The up-and-coming hip-hop artist's career came to an abrupt halt after a 1999 New York City nightclub shooting incident also involving rap impresario Sean "Diddy" Combs and his then-girlfriend, actress and singer Jennifer Lopez. Editor's Note: Laura Silver is a freelance journalist and knish researcher. You can follow her on twitter @knishme. By Laura Silver, Special to CNN. The brunch crowd outside the Mile End Delicatessen in the Boerum Hill section of Brooklyn was getting warmer. A square of yellow foam enveloped my torso, shoulder to shoulder, neck to shins. I wore a golden, rumpled t-shirt on my head and sunglasses to shield my eyes. “Something you can get at a Jewish deli…,” I hinted. Editor's Note: Over at our sister blog Eatocracy there's a great post about a Kosher BBQ competition. THis post comes from Steven Weinberger a Senior Systems/Software Developer at CNN who blogs at Kosherblog.net. Follow him on Twitter @KosherDIY. On the last full week of August, I took my wife and five children on a road trip. We were going to be driving in our minivan for more than 18 hours, across six states. Masochistic? Very few road trips with five children aren't. Our inspiration for this trip? Three letters say it all: BBQ. We were headed to Memphis, Tennessee to compete in the nation's oldest and largest Kosher BBQ competition. Kosher BBQ? In Memphis? True enough, in Memphis pork is the undisputed king of BBQ, but at the Anshei Sphard – Beth El Emeth Congregation in Memphis, it's all about beef – Kosher beef briskets and racks of ribs shipped in from a New York distributor to be exact. Agriprocessors executive Sholom Rubashkin’s trial may be becoming nearly as messy as his shuttered meatpacking plant. Rubashkin’s lawyers claimed Thursday that U.S. District Court Chief Judge Linda Reade, the judge in the case, met with the law-enforcement team that participated in the May 2008 immigration raid of Agriprocessors kosher meatpacking plant in Postville, Iowa. According to Rubashkin’s counsel, Judge Reade had not disclosed this information before presiding over the trials.